The romance circle is common in all great epic stories. It starts out in childhood, then there is the threshold where the voyager leaves home for the first time, then the initiation, then the dedication to the quest, then the underworld, then the harrowing of Hell, then temptation, and lastly recognition. However, I don’t think the circle ends there. Life is a series of romance circles forming one large romance spiral. Throughout life we are faced with many “voyages” or “adventures” creating one long spiraling journey. For example, college itself has been somewhat of a quest. You could analogize the process of applying to school, going to school, and graduating from school to Frodo’s own quest. Childhood instead would be high school and going to visit colleges would be leaving the threshold. Next, initiation would be acceptance to college and dedication to the quest is committing to a school. The next part I find rather comical where all of the classes and work throughout college are analogous to the underworld and the harrowing of Hell. Sometimes all of my work was a bit hellish. Temptation is all of the fun you have in college and your longing for the real world. Finally, recognition is equivalent to graduation where you gain recognition for all of your hard work. Your life doesn’t end when you finish college (even though it feels like it). Therefore, instead of the circle ending there, rather it repeats itself and spirals into a long and great epic. I got this response from everyone after telling him or her my English seminar class choice. To be honest, I didn’t really understand why I wanted to take the course. I had stopped playing videogames after freshman year (aside from the occasional super smash bros. on N64) and I really had no burning desire to learn about gaming. The nagging doubts persisting in the depths my mind shut up long enough for me to finalize my decision and send in my course request form. I walked in to the first day of class apprehensive, but excited. The room was pretty much what I expected, two large screens, lots of wire, laptops out and powered on, being controlled by normal kids who had a guilty pleasure for gaming and knew it. My slightly embarrassed classmates took sheepish glances around the room, attempting to figure out who else was brave enough to sign up for this class and commit the social suicide we all were convinced would be the inevitable result. I smiled and grimaced at the same time, sat down, and accepted my decision, suddenly optimistic about the rest of the semester. The class, unlike the people in it, was not at all what I expected to find. Rather than focusing on videogames, the class has proven to be a useful way to integrate the future of professional and academic communication with good writing practice and stimulating class discussions. Videogames seem to be solely supplemental to the class and I find there to be much more to the class than MMORPG gaming. Instead of spending copious amouts of free time in an attempt to level up for the class, I have discovered how to use Microsoft Office Live, Bootcamp my computer, use a Windows operating system, relate qualities inherent in creating a game to real life, and more than I ever want to know about Lord of the Rings. 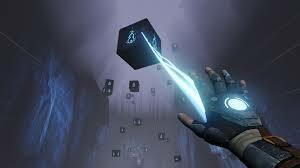 I would venture to say that he videogames I have played as a result of the class have enriched my social life. I now analyze the concepts behind game design for everything I play and as a result, I understand gamers better and can relate to them better than I could before. Rather than look down on gamers, I have broadened my perspective and can now see the world through their eyes and understand them. Plus, I get to play videogames for a class, who can argue with that? A late post: crazy halloween ruined my mind. I am not a passionate gamer, though I spent a lot of time playing console games during my high school. However, I think that my experience with LoTRO will have a positive effect in my life. I would admit that I considered playing LoTRO as an unimportant assignment and tried to do math or Chinese home work, did I have time to play. Unsurprisingly I was way behind the course requirement (my character of LoTRO was level 12 until few weeks ago). However, fall break completely changed my attitude towards LoTRO. Most of my friends were gone and I had nothing to do, so I decided that it was time to play LoTRO. Playing the game I realized that it was a real fun. I was really into the game and played almost 6 or 7 hours a day. 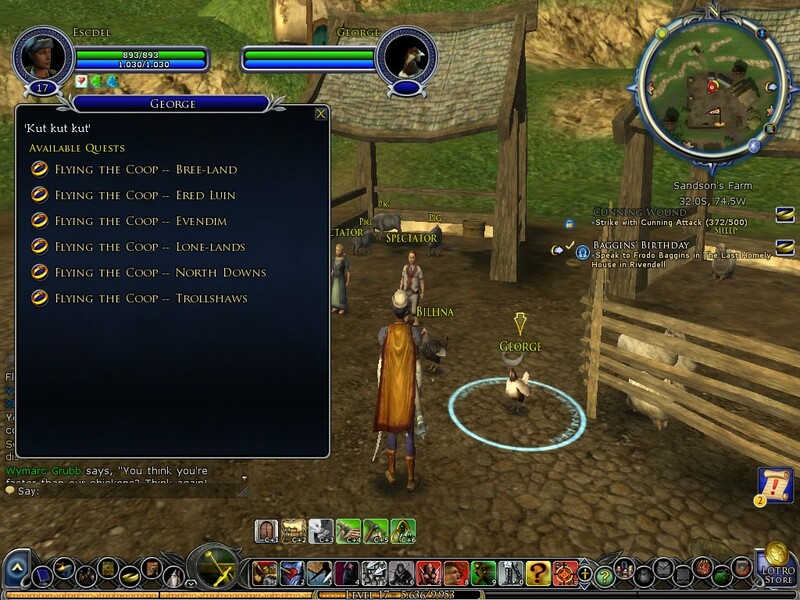 I leveled up to 17 and cleared up all the quests in Ered Luin. We often find our assignments hard and boring, especially when those are not from the field of your interest. However, now we are more responsible for our education and grades and have to do every single assignment we are given. Playing LoTRO, I learned that we can find something enjoyable in assignments that you do not necessarily like or enjoy. I am 100% sure that this will help me in upcoming three and half years of college. Author fihsnakePosted on November 1, 2008 Categories UncategorizedTags assignment, college, experience, LOTROLeave a comment on A late post: crazy halloween ruined my mind.